The shoot 'em up genre is one that's seemingly been around for nearly as long as video games have. While they do certainly have a limited appeal, these types of games offer up what could certainly be argued as the purest arcade experiences, with lightning fast reflexes and pattern recognition being absolute musts. Treasure is a studio that has worked with Nintendo in the past - most notably on the Sin and Punishment games - and has made its name more or less on the shoot 'em up games it's put out. A 2001 interview with Treasure's president, Masato Maegawa, was just recently translated and it provides fascinating insight into the company's history and how it makes shoot 'em up games. For one thing, Maegawa talks about how Xevious is one of his favorite games in this genre and that he sees it as perfecting many elements that make the genre so enrapturing. After Xevious, STG developers tried to add items, power-ups, and all manner of gimmicks and contrivances to their new games. Some went the route of making STG games more flashy and outrageous, filling the screen with intricate danmaku patterns that were fun to dodge, or having awesome bombs and explosions, or an interesting backstory and gameworld. But for vertical STGs, even by Xevious we see many gameplay elements perfected. I would say the same thing for Gradius, also, as a horizontal STG. Later on he talks about Sin and Punishment, which had not been out for very long at this point, and how people couldn't get into it due to its unique control set up. Simply put, many couldn't wrap their heads around the idea of controlling movement with the right hand as opposed to the left. The controls take some getting used to—most action games use your left hand for movement and your right for actions. By flipping that, having ABXY control movement, it made it so no one knew what they were doing. You have to get used to the controls. And telling players that is always tricky. This likely had some sort of impact on the game's sales, as it wasn't much of a commercial success. 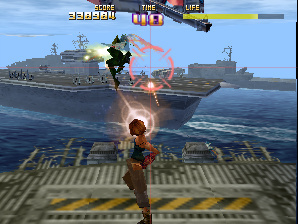 Nonetheless, Nintendo wanted the shoot 'em up genre to be represented on the N64. The tricky part is how to work with publishers. Sin and Punishment only sold about 100,000 copies, so from a business perspective, I can't say it was a success. But Nintendo felt that they needed that genre to be represented on the N64. The fact that we were able to have the Nintendo brand backing us there was huge. Of course, Maegawa didn't know this at the time, but Sin and Punishment had something of a revival later when it reappeared on the Wii Virtual Console, with the digital sales being enough for them to justify making a sequel for the Wii. What do you think? Would you like to see another Sin and Punishment game? What's your favorite shoot 'em up game? Share your thoughts in the comments below. I'm all for a another Sins and punishment game. Sins and Punishment was a cult classic, and I liked the second one on Wii a lot; it'd awesome to get a third game with a more polished co-op and backstory. Treasure is my favourite developer of all time and i would dearly love any new game from them, but the fact that they no longer exist means this will never happen. They had a 3DS game out last year in Japan. I hope they are still going as I want Mischief Makers on VC if nothing else. I've been looking for Sin & Punishment on Wii for a while now. I could see the Wii U or 3DS being great for a shoot 'em up like this. @YANDMAN Could you please post your sources? I've been searching all over the internet and I haven't found a single piece of evidence pointing towards their demise as a company, so I believe you may have misread information or you are making a false claim, hell, even their wikipedia article doesn't list at all that information. That aside, Sin and Punishment 2: Successor of the skies is a true masterpiece, and it is on my top 5 wii games, as it is an astounding piece of modern gaming and an example of how games should be done today; tight controls, engaging visuals, awesome gameplay, insane difficulty if you aim for all the medals on every stage. True Perfection. I would love to see a sequel on the NX, but Treasure has been inactive for a while, their only recent action being a port of Ikaruga for Steam, and that was over a year ago, so I wouldn't hold a candle waiting for this to happen. 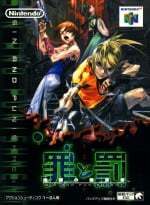 My favourite shmups are definitely the Sin & Punishment games, though I haven't played or finished many shmups admittedly. Also Gunstar Heroes, is another favourite of mine, made by Treasure too. I actually just recently bought Star Successor for $20 at Wal-Mart, but I haven't played it yet. Can't wait to play it, though! Probably the most underrated Nintendo franchise next to the Wario Land series, it's so good. I'm still hoping Star Fox turns out great, but after seeing that underwhelming gameplay footage I wish that Nintendo collaborated with Treasure instead of Platinum. Hell yeah I'd like a new Sin & Punishment! Love the series. Star Successor was amazing, I definitely want a new Sin and Punishment. @Spacey Technically there is rep because Saki is an Assist Trophy. Sin & Punishment 2: Star Successor is quite easily the best shmup ever made, and one of the only ones I've ever seen that doesn't settle for simplicity. It's definitely a shmup, but rolled up into a high-production-value package of modern gaming. I can't recommend this game highly enough. Sin & Punishment 3 for Wii U!!! didn't they won't make a remake? i wish though if they could make a remake..with a better graphics of course.. and i didn't play this game but some people played it it's awesome gorgeous shmup. @YANDMAN Are you referring to CAVE?? It could be an honest mistake. People are calling you on this, elaborate.